Can I purchase TiltShift outside the Mac App Store? FAQs / Can I purchase TiltShift outside the Mac App Store? 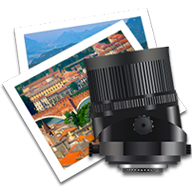 Currently TiltShift is only available for purchase through the Mac App Store. Please contact us if that absolutely does not work for you. You can however download a fully functional demo version (that overlays a watermark) from this site to try out TiltShift before purchasing.